My affinity for Sony's Alpha line started a while back. When decision time came to upgrade from my Canon T4i the Panasonic DMC-GH4 had everything I needed at the time. More specifically, 4K internal recording. The Sony A7S crossed my mind, but came in a distant second when I made this decision. It's low light was very impressive, but it was missing that internal 4K feature that I wanted. 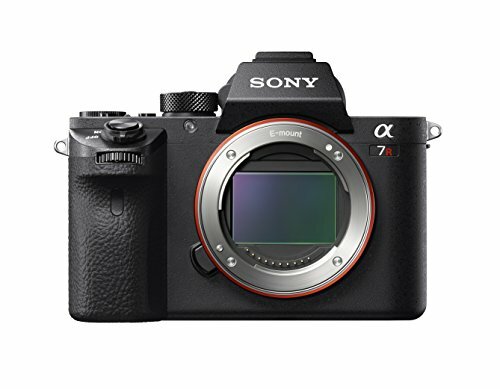 Speed up time about seven or so month Sony began announcing Mark II versions of the Alpha line and the RII really caught me by surprise. For one the price, coming in at $3200 at launch; it was a hefty cost to be able to carry, but totally worth it for all the options you were getting in my opinion. I waited to see what the SII would hold for users, unfortunately it wasn't anything I was super interested in, so the RII was for me. The SII just didn't have all the things I wanted and the big kicker was the full frame shooting mode only. This meant I couldn't use my favorite lens of all time (the Sigma 18-35mm Art lens). It was full frame or nothing with the a7SII. Don't get me wrong I will miss the slow motion features and incredible low-light capabilities of the a7SII, but I can live with the low-light of the a7RII and if I really want the slow motion features I could just save up for an Atomos Ninja Assassin. As much as I tried to down play on social media, secretly I was saving up money to make the jump. I could simply not ignore the hardware features these cameras where offering. Now I've made the leap this holiday season and I could not be happier. The low-light capabilities of the Sony a7RII are surprisingly great. At any rate check out my first impressions of the RII. I'm extremely satisfied with my purchase and would do it over again in a heartbeat. I was lucky enough to score this camera 'Used - Like New' on Amazon. If you're interested in pricing and availability, I'll link it below.